What an amazing and charming trip, the river boat experience was also wonderful. Visiting the Christmas Markets that had been going on for such a long time was the best! Visiting the Christmas Markets in Vienna, Nuremberg, and Prague were the highlights of the trip! I wouldn't travel with anyone else. They are reliable, dependable, fun,. They went above and beyond expectations. They made little stops that were not on itenerary, that were special surprise visits for Gluhwein and entertainment. Daniel our guide found a classical Christmas concert in Prague that was beyond our dreams. I wouldn't travel with any other than Collette! I left my wallet at home by mistake and it made me want to cancel the trip. I did have some money in a body belt but no credit cards. When I notified Collette, they were very supportive. I think the lady in the office was named ***** and the tour leader ******* were great, constant communication and support. I went on the trip and Collette loaned me money. What states out dismal ended up great. It was a wonderful trip! The trip was very organized, the boat was lovely, and ******* was on top of everything. The Villages we went to we’re quite charming. Sometimes too much time allotted for a Xmas market (Erlanger) and others not enough time. Purchasing the optional tour of Prague was wonderful. Beautiful city. Our Tour Guide ******was so great. Everything was cordinated perfectly. It was a wonderful experience. Ruthenburg Christmas Market at night and the tour of the palace. I would recommend them and use them again. I realize you tried to make up for the markets that where closed but my reason for booking this trip was to visit Nurnbergs Christmas market, I had visited this city many times before, never at Christmas and I was looking forward to the market. The crew, on board ship, was he highlight. I felt our tour guide played favorites, and we were not ne of tem. Everything was fantastic. You are treated like royalty and catered to at every opportunity. The only change I would make is you are not given enough time in the markets. This is supposed to be a Christmas market experience and you’re lucky to get an hour in most of them. Not enough time to even see it. Skip the church etc tours and spend time seeing what you went to see. Not enough time in markets and this is supposed to be a Christmas market tour. Never even saw a quarter of the big night market as a Saturday evening, extremely busy and had only an hour. The only disappointment I had was with the waiter on the boat (very bad). Good cruise. 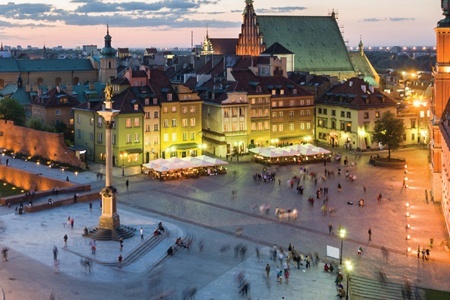 Interesting Christmas Markets. First time to this part of Europe. Wish is was warmer. Going thru a lock. Walking around a town that has been around for hundreds of years. We enjoyed every aspect of our trip. All arrangements were perfect. We loved our tour guide. Everyone on the boat made our vacation very special. 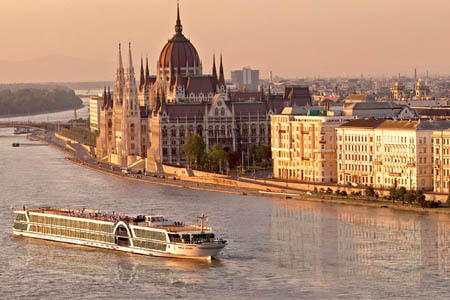 We're pleased to hear you had a great time on our Christmas on the Danube river cruise! We saw that you left a 1-star review with some positive feedback. If you wouldn't mind changing that to a 5-star review, it would really help us out. We greatly appreciate your business and hope to travel with you again soon. Wonderful tour. Loved every minute except flight home. Will be encouraging all my friends to take this tour. Outstanding except for the return flight arrangements, with long layovers. Guided tours and free time at the various ports. Germany, Austria on a river cruise. Excellent trip, excellent tour manager. Flight home had issues, but I blame Delta not Collette. Just cruising down the Danube. Loved it. We had a wonderful time on the trip and enjoyed the helpful guides very much. This trip was wonderful! Our tour guide, Bobbie, set the tone for a very well organized and exceedingly pleasant trip! The sights were wonderful, the food was delicious, the accomodations were fine! I have only positive memories! 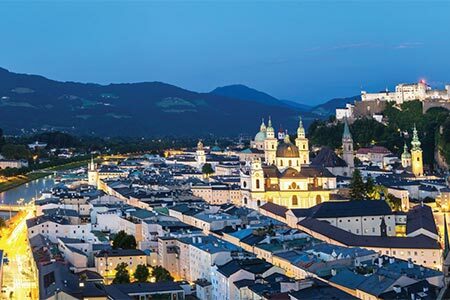 Seeing the sights in a number of German towns and Vienna as well as the Christmas markets in each of these places was memorable in each case! I would not be able to single out one experience as I loved it all! Tour guides were excellent. They always wanted feedback to improve the tour. First longboat river cruise. It was wonderful. Would take another one. The ship was wonderful. The food was gourmet and the service was excellent! a wonderful and relaxing trip for the holidays! Well organized, excellent Tour Director, great attention to helping with anything! Excellent trip, would do it again. The tour was excellent, Walking through the old towns and the Christmas Markets was my most memorable time. Package was very well put together. Collette guide was excellent, itinerary was very well thought out and we'll executed. Cruise company was amazing also, great food and comfortable accommodations. 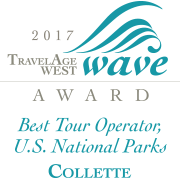 Collette staff and Cruise staff worked diligently fogether to ensure the trip ran smoothly and nothing was too much trouble to ensure that their guests had the best possible experience. Great staff, comfortable accommodations and excellent food. Enjoyed the smaller boat & tour group..
Glad we had the opportunity to experience Germany and Austria by river. Overall we had a good experience. The stop in Durnstein was useless, nothing available because the shops were all closed. Nuremberg Xmas Market extremely crowded, no access to kiosks due to crowds. Too little information up from. Misinformation/disinformation during the tour. Changes that did not seem necessary but saving Luftner money. Cabin switch that resulted in additional charges. Thank you for sharing your experience, we have passed along your feedback to our product and tour manager team. They will use this info to improve the tour for future guests. If you would like to speak to a member of our customer care team to share more about your experience, please let us know and we can help set that up for you. Thank you for your business. Enjoyed the tour. Spent several days on our own in Vienna. Excellent. Made our own way to the river boat. One criticism we heard was from the people who flew in the same day and had to loiter around Vienna until time to go to the boat. Strange city, unsure of landmarks, cold weather, There should have been a designated INDOOR place where people could gather until time to take coach to boat. One couple got dropped off several blocks from where they should have been. Not happy campers. Seemed to me a real oversight by the tour planners. The Werzburg Xmas market seemed the most original and authentic. Actually 3 1/2 stars, but no option. Meals varied between very good to subpar and there was little option most times. Server was clueless at our tables, though wine/water server was very good. Group guide was fairly worhtless, thoguh the local guies were usualy very good. Locations were good, though there were times when you felt like you were too rushed. Couple things were worthless like gluwein party in Emmersdorf and Heurigher in Vienna that would have been better left off and given more time for other things. Cruise was fine. My only real criticisms are 1. there was not much to do after a tour (which sometimes only took 2 hours) and 2, at meal time the coffee was always lukewarm.. The Christmas markets . The tours were all good. excellent guides. Rate this company as a 10..
Collette has wonderful Tour Guides. They are extremely knowledgable about their tours and very personable. The Thurnund Taxis castle and Christmas Market Tour ( new tour added) and the extension 2 day trip to Prague. 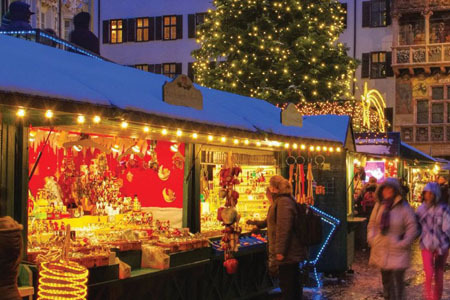 Regensburg optional night tour of castle and Christmas Market. Air passengers will arrive into Frankfurt, Germany airport and depart from Vienna, Austria airport. All transfers will depart from/return to these airports. Cabins are available on lower (Hadyn), middle (Strauss) and upper (Mozart) decks. 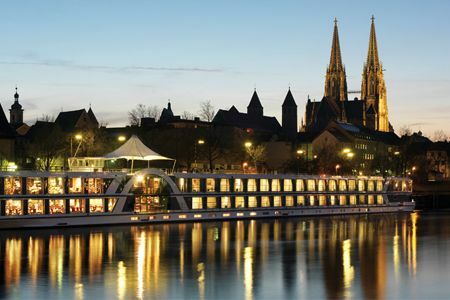 Please note that river cruises are smaller ships and only have a finite number of each cabin category available. Specific categories are available on a first come first served basis. 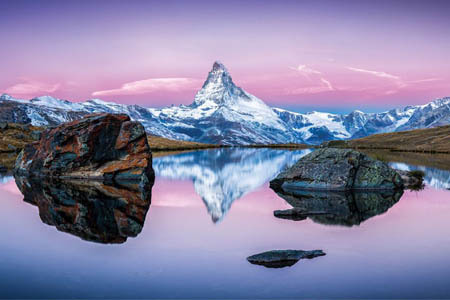 Every effort will be made to accommodate your cabin choice at time of booking; however, if that cabin category is no longer available, the closest available category will be offered. Please inquire through our Client Care Centre for any upgrade fees which will apply for different cabin categories. Suites are available (Amadeus Suites) on a very limited basis and are not available to guests travelling as singles. Return flights should not be booked prior to 10:00 a.m. on the last day of your tour. An early morning departure from the cruise ship may be required due to air schedules to some U.S. and Canadian cities. Embarkation on day 3 is after 4:00 p.m.; on day 9, disembarkation is normally at 9:00 a.m.